I never really appreciated tea until I lived in the United Kingdom. That country loves their tea. And fair enough, tea is awesome, especially the traditions, cultivation and global trade associated with it. 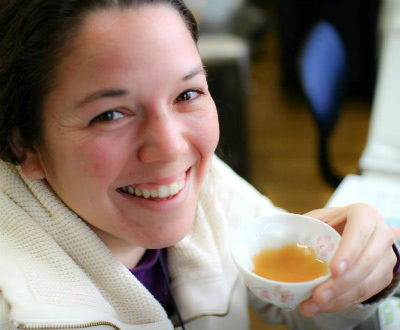 That’s why entrepreneur Elyse Petersen is on a mission to connect tea lovers with tea growers around the world through her tea delivery startup, Tealet. We caught up with Elyse to talk sustainable global food systems, favorite tea drinking moments and why Facebook is her favorite social media platform. Tell us a little more about what inspired Tealet. Tealet is the manifestation of a goal that I made 6 years ago. After finishing my undergraduate studies in food science and technology I realized that my future career would involve contributing the US’s unhealthy food system, so I joined the Peace Corps. During two assignments in Niger, West Africa and Antigua and Barbuda, Eastern Caribbean I realized that my goal is to inspire sustainable global food systems through entrepreneurship. I then studied a Japan MBA at the University of Hawaii where I became very involved with Hawaii’s agriculture community while studying the market feasibility of a Hawaii Grown Tea industry. During the internship portion of my MBA I worked for a tea company in Kyoto, Japan where I realized that tea farmers around the world are facing the same challenges as those in Hawaii. Upon returning home I attended a Startup Weekend and pitched an idea to connect tea growers with tea lovers. Two people were awesome enough to join my team and we built the first prototype of Tealet and took home second place. Do you have a favorite tea-drinking moment and what’s your favorite tea? My favorite moments with tea are always shared with others. The energy at tea festivals where hundreds of tea lovers gather is electrifying. I especially enjoy introducing great tea to Americans that don’t have experience with the beverage and seeing their love for tea develop the same as mine did. My favorite teas are Gyokuro and Kabuse Sencha, both shaded Japanese green teas. Many find their taste strong but after experiencing teas from around the world one can taste the love and passion that goes into growing and processing these teas. The biggest challenge for anyone that begins their entrepreneurial journey is letting go and heading into unknown territory. Being a startup comes with a lot of responsibility and not a whole lot of security, especially financially. I do believe that we are in a time of urgency and taking a risk such as starting a business isn’t as challenging as it used to be. This urgency to repair our consciousness of the environment and our communities is motivating people around the globe to take a leap and do something to make a positive impact. How has your experience been at 500 Startups? My experience has been great. The mentors and fellow founders really understand Tealet’s mission and have been extremely helpful by providing feedback. During our first week in the office our team set up a tea station and we get to share tea with everyone. There’s something magical about interacting with people that are equally as passionate about you to build something that will change the world. My best advice is to connect with your local startup community. Also, sign your startup for any services or opportunities that you hear. For example, Startup America is a great resource. Within two months of signing up as a Startup America company Tealet was invited to the We Own It Summit in New York City and was connected to an opportunity to demo our product at the Founder’s Showcase in Silicon Valley. These resources are available to everyone and they are all free, so take advantage of them! If you could have lunch with one person, who would it be, what tea would you drink, and what would you talk about? I would love to have lunch with Vandana Shiva, an agriculture activist in India. I would love to share teas from Lochan, tea that is grown on the banks of the Doke River in Bihar, India. I would share the story of Rajiv Lochan who has dedicated his life to developing a sustainable tea industry in Bihar that counters the traditional corporate system that has left hundreds of tea-growing communities in India with unhealthy economies. Shiva has decades of experience with community building and seed sharing, so I would love to ask her advice on how Tealet could best benefit the growers. Web App or site you couldn’t live without and why? Facebook has evolved into one of the most important tools in my life. Once something I used solely for sharing photos at parties and funny jokes has now become a global network of collaborators. Every time I travel to a new place I come home with many new friends on the platform, friends that I can stay connected with and may be able to work with in the future. What’s your music-streaming site of choice, and what’s currently playing? I enjoy listening to the 24 hour music channel on KCRW. They curate great music that keeps me working. Most of the music is indie rock. Some of my favorite bands are The Shins and Phoenix. What’s the greatest thing about Tealet? The greatest thing about Tealet is, well, the TEA! 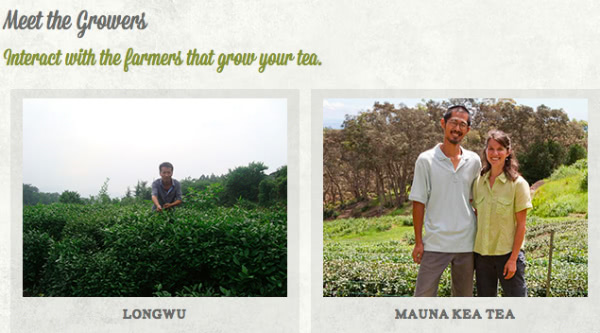 I am proud of the growers that we support and they are proud of the tea that they produce. When the grower is able to connect with their customer they take more care to produce the best tea that they can. It is very difficult to find tea of this quality in the market, so please enjoy. You can begin your tea exploration on our site, but please feel free to contact me directly at elyse [at] tealet [dot] com. I read every email and usually respond to every one. I love connecting with fellow tea lovers and finding ways to collaborate so we can create an even more enriching tea experience. I also tweet @peaceelyse. Thanks Elyse! I think my favorite tea is my good friend chai. Every time I drink it, no matter where I am in the world, it always makes me feel like home. 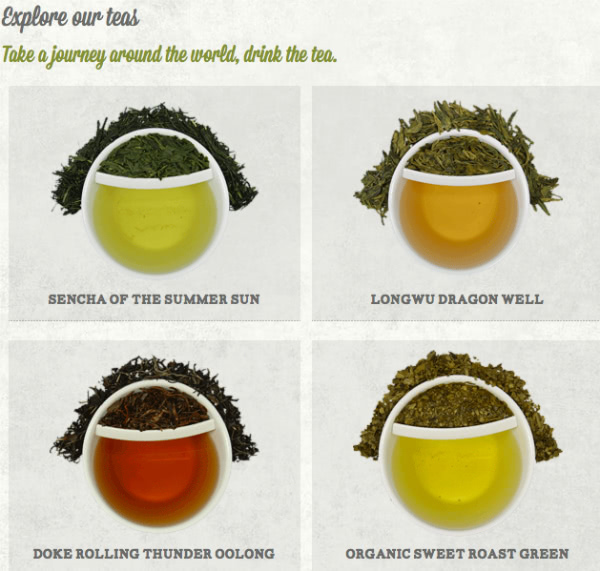 If you’re a tea lover, or just want to know more about this ancient elixir, definitely check out Tealet and start your global tea journey.